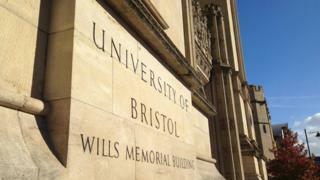 A University of Bristol lecturer has resigned after admitting that he fabricated his research. Dr Abderrahmane Kaidi pretended experiments had taken place and made up results which were sent to a colleague. At the time of his resignation, Dr Kaidi was also under investigation over his behaviour towards members of his research group, and for research misconduct. The university said Dr Kaidi took "full responsibility for his actions". "The fabricated data was not intended for publication and will not be published. "No specific concerns were raised in the investigation about other publications during Dr Kaidi's time at the University of Bristol." Dr Kaidi was a lecturer at the School of Cellular and Molecular Medicine at the university, specialising in cancer biology and DNA damage.